Today, A Violent Man, directed by Matthew Berkowitz, premieres in select theaters and digital platforms. 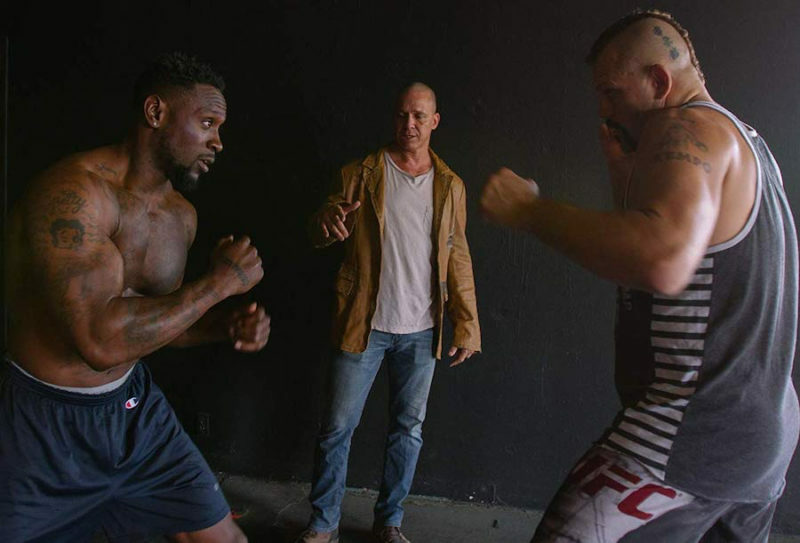 The movie, the latest MMA-themed film, features a star-studded cast and a riveting plotline. Ty Matthews, played by former NFL star Thomas Q. Jones, is a physically imposing martial artist who has yet to get his big break. That all changes one day, as Matthews submits world champion Marco Reign (played by former UFC light heavyweight champion Chuck Liddell) in a sparring match. However, the murder of an MMA journalist (played by Denise Richards) covering Matthews puts Matthews in the crosshairs of local police. The subsequent whirlwind of martial arts, passion, crime, and suspicion make for a powerful, Warrior-esque film that is sure to capture the attention of fans around the world. MMA pioneer John Lewis, a UFC veteran and high-profile coach, stars in the film and conducted the fight scene choreography. Lewis spoke with The Body Lock about the film and its MMA roots. “[The creators of the film] reached out to me for one of the lead characters, as well as bringing Chuck Liddell and a few other people that are significant to the cast,” Lewis told The Body Lock. Lewis, who plays Jameson, one of Matthews’ friends and teammates, notes his MMA experience as crucial to his undertaking of the film. Yet, Lewis notes, it wasn’t easy to craft the perfect fight scene. 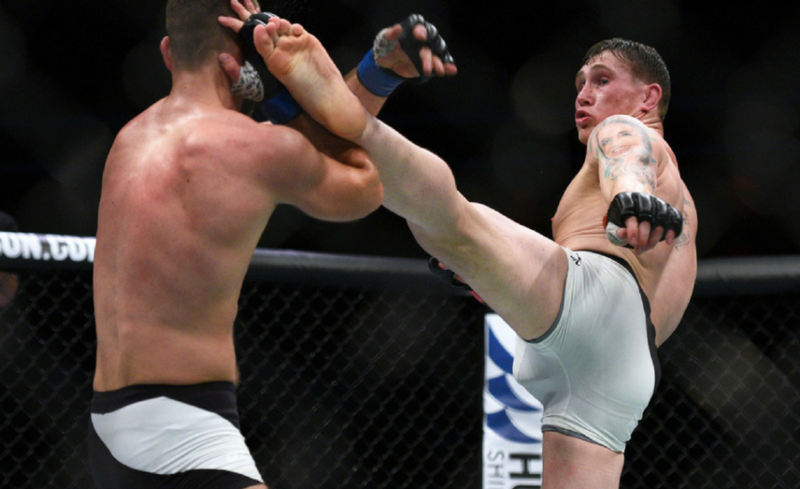 “It’s hard to make a new mixed martial arts fight. It’s easy to do that when you’re doing a movie that’s not realistic; you can think of all the coolest moves in the world in all the martial arts, and pick and choose and put those into a fight scene – like John Wick, for instance, which I love. Lewis also says one of the highlights of the film was working with Jones, who Lewis has trained in the past. He also recounts an incredibly humorous aspect of getting Jones ready for the role. “So, I got to bring him and Chuck together and got them working together for a while before we even started the choreography; just getting them comfortable having fun rolling around on the ground and getting Thomas feeling comfortable standing in front of Chuck Liddell! “That’s scary for someone who doesn’t even know the guy, not to mention if he’s a good guy or not. We know how nice Chuck is, but at first, you’re like, ‘Oh my God, it’s Chuck Liddell! I had to get him uncomfortable enough to stand toe to toe and not look like, overshadowed, and he did a great job with that. He really put the time in,” said Lewis. Another actor who Lewis enjoyed working with on the set was Mike “The Situation” Sorrentino, the Jersey Shore star, who plays Boomer in the film. Lewis also weighed in on one of the central aspects of the film, the sparring-match-gone-wrong for Marco Reign. 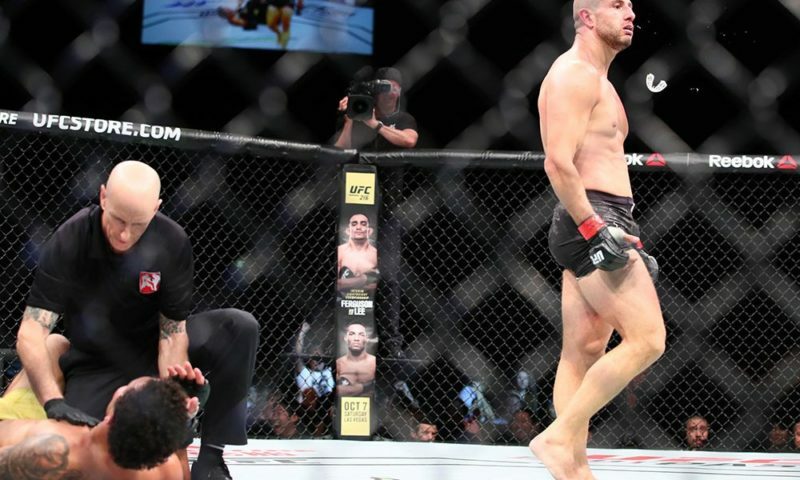 “As we know in the fight game, you’re one mistake away from losing. You can be winning the whole fight, and then you lose. It’s not always so clear cut – one mistake and that’s it. 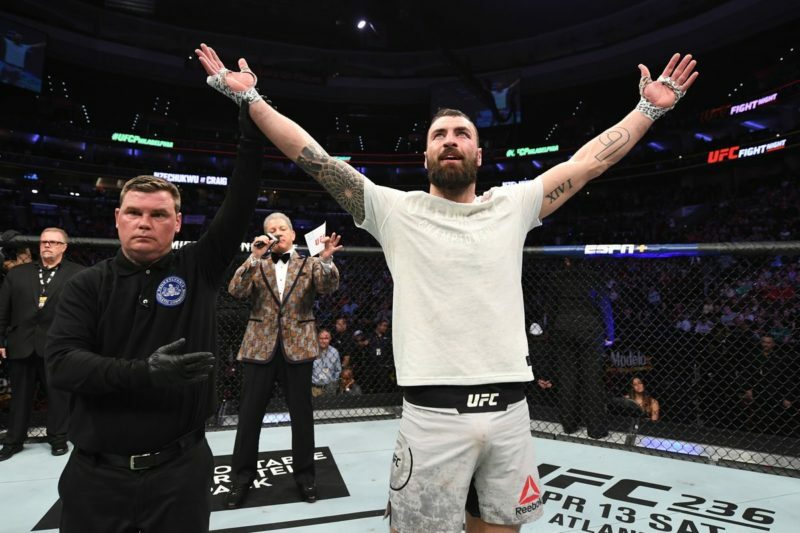 Lewis adds his thoughts on Matthews’ girlfriend, Whitney’s (Khalilah Joi) insistence that Matthews pursue a ‘real’ job, rather than continue as a mixed martial artist, a theme all too common in reality. 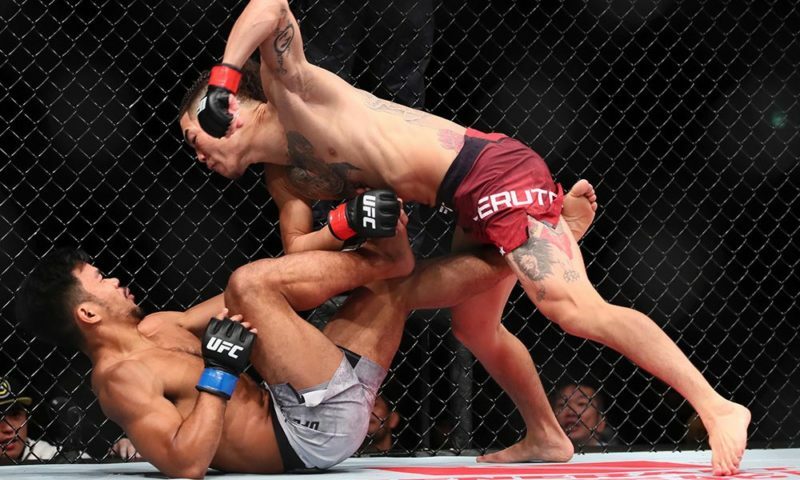 “I think it stems off of the struggle when you’re really just starting off and you say, ‘I want to be a mixed martial arts fighter’. First of all, just to find out how to even get into some small shows is challenging, and then when you do, you’re making two or three hundred dollars, and you’re training months for that. The movie will be released today, February 8th, in select theaters. A Violent Man will also be available on the following digital platforms: Xfinity/Comcast, DirectTV, iTunes, and Amazon.